A "very charitable man" with "charm and culture," Fleming was one of the heroes of the Battle of Point Pleasant, where he was shot three times. 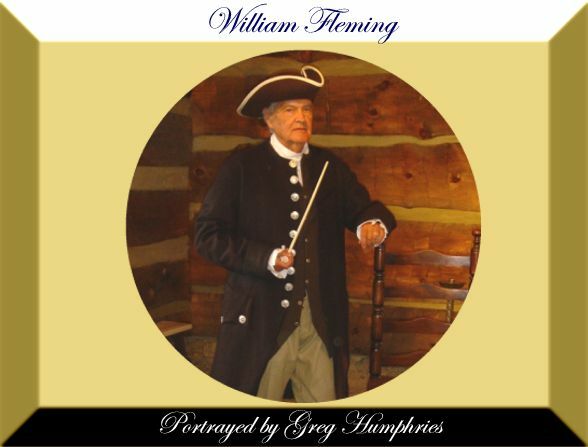 Born in 1728, he served as a surgeon's mate in the British navy, came to Augusta County in 1755 and served in the army under George Washington. He practiced medicine in Staunton for a dozen years. After the war, he was a state senator, interim governor, and on the Governor's Council.